Expand search to view more listings in and around Tucson. See more offices in and around Tucson. To help you find the best location for your Tucson office space, our website allows you to find and get the vital information about each of them quickly and easily. We have an extensive range of commercial properties and building spaces available, most with flexible rental terms that can be adjusted to suit your company's needs. A wide selection of the business centers and Tucson commercial real estate listings are inclusive of a range of support services which include administration, reception and on site IT support staff, high speed internet and WiFi services, lounge and meeting room amenities. In addition, a number of the buildings provide free car parking, 24 hour access, dining facilities and break out areas. We would love to help you find your perfect office. 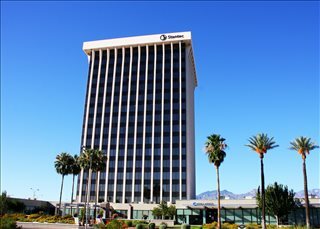 Simply select one of the offices for rent in Tucson on this page. The executive offices, private office space, coworking space and flexible office space for lease listed on this site is all situated in ideal business locations, and is available for rent on flexible terms. Although the majority of office space in Tucson, AZ consists of conventional premises, it is expected that in the future demand for specialized office space will grow exponentially and will be driven by the Tucson medical and healthcare sectors. There is a number of office building projects planned for this purpose that have already received approval in and around the University of Arizona and in the Main Gate District. The growth of the non-profit sector is also likely to put the local office market in the spotlight. 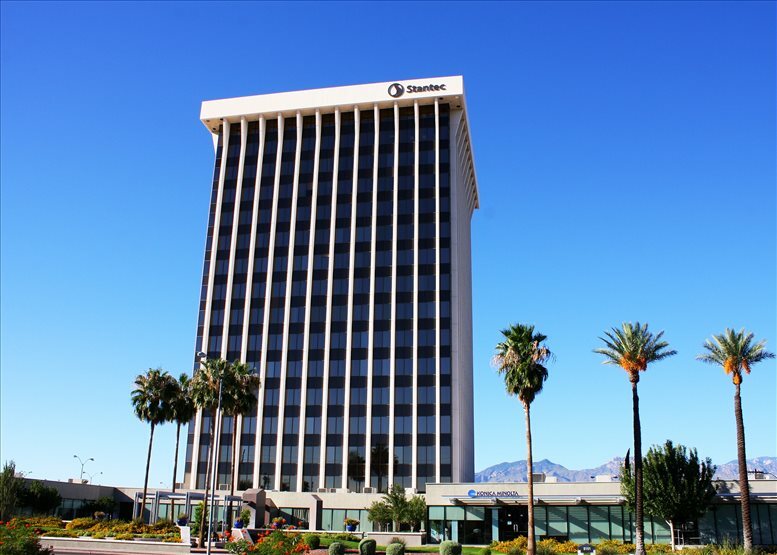 For the time being, the most well-known office buildings in the city are in the central business district (CBD) and include One South Church, Bank of America Plaza, Tucson House, and Pima County Building. Prime Locations: Traditionally, downtown Tucson and areas to the northwest of the CBD have been the first points of inquiry for office occupiers, but emerging hubs have become increasingly in demand in central locations in Tucson and areas located north of the CBD. Other sub-markets, such as Foothills, Green Valley, and Oro Valley, are characterized by a relatively large office inventory and lease values slightly below those in the downtown area. Also notable is the creation of the Global Economic Development District in south east Tucson, a hub of entrepreneurial activity for companies operating in sectors like manufacturing, logistics, and transportation. Vacancy Rates & Availability: Vacancy rates for all office space classes have been dropping steadily for years, and in early 2017 they reached a historical all-time low, which means availability is tight and there is an increasingly limited supply of Class A properties. These account for only 8 percent of total inventory, whereas Class B premises account for over 70 percent. Asking rents at their highest in the downtown area and at their lowest in western and southwestern Tucson suburbs. Office Market Outlook: The city's office market is quickly becoming a popular choice among corporations looking to expand or relocate, and further expansion is planned in the future due to a rise in office-based occupations, as well as fast-growing real estate activity across the city. How We Can Help: Our goal is to help your company find the perfect work environment, arrange a rental agreement that suits you, and get you into your new Tucson AZ office space as quickly and easily as possible. 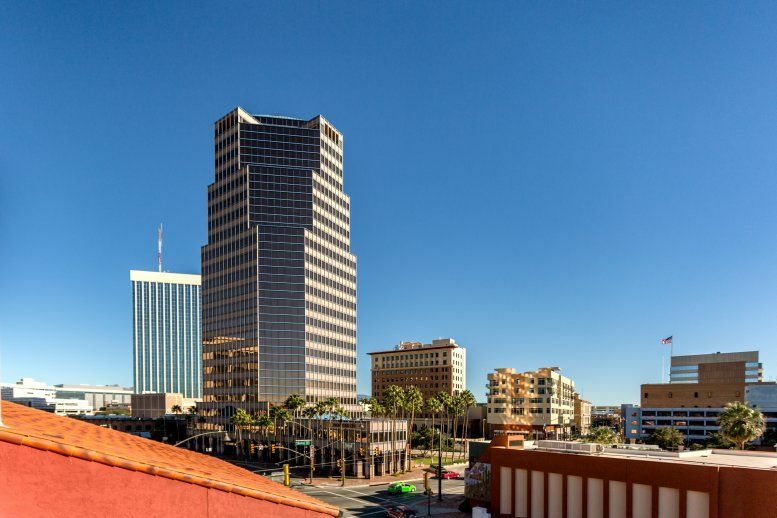 Whether you require Tucson commercial real estate, private offices, coworking space, flex space, or flexible office space for rent - we'd like to help you. There are a range of office types, from private office space and commercial solutions to serviced offices, shared office space, flex space and coworking space to fixed desks and executive offices for teams and larger organizations. We will be happy to help you navigate the options and find the office space for lease that is best for your business. Tucson is the second biggest city in the state of Arizona. Although the local economic scene has gone through ups and downs, the city has been experiencing an upward trend and sustained growth for a few consecutive years. Economic Growth: The main industries supporting this growth trend are professional and business services, healthcare, and education. Also spearheading economic growth is the University of Arizona, which has played a crucial role in the recent economic development of the city, as have defence and public sector agencies. Advanced manufacturing and technology are high-value sectors with an important presence in Tucson, and tourism also plays a key role in the generation of income and employment, since revenues generated by this sector exceeding $2bn a year. Employment Trends: Unemployment rates are slightly higher than the national average and above those in other urban centers in Arizona, however the latest data released by the Bureau of Labor Statistics show growth in office-based professions and large numbers of people employed in managerial, business and financial operations, architecture, engineering, and computing. Key Employers: Key employers in Tucson are the University of Arizona, the Davis-Monthan Air Force Base, and Raytheon, all with more than 10,000 employees, followed by the US Border Patrol, Tucson's Unified School District, Walmart, the City of Tucson, Carondelet, TMC Healthcare, IBM, Honeywell, Bombardier, and Sanofi-Aventis. We have more office spaces available in Tucson than ever and prices to suit every budget. Whether you require flex space, virtual offices, vacation rentals, or private spaces for lease - businesses of any type should be able to find the Tucson office space they need using our services. Contact us and we will be happy to assist you in your search for the ideal office space available for rent in or near Tucson, AZ. We can also help you secure virtual offices, shared office space, executive suites, medical office space, industrial space, and office-warehouses for lease in locations across Arizona. Contact us today for assistance.